Jane Shaw. 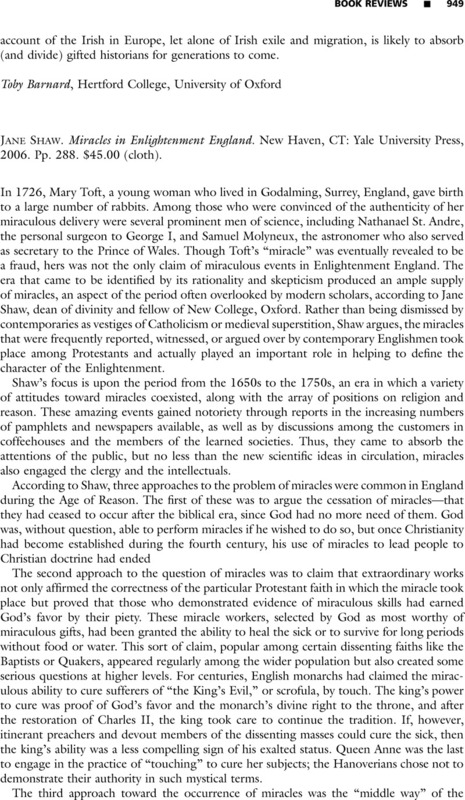 Miracles in Enlightenment England. New Haven, CT: Yale University Press, 2006. Pp. 288. $45.00 (cloth).